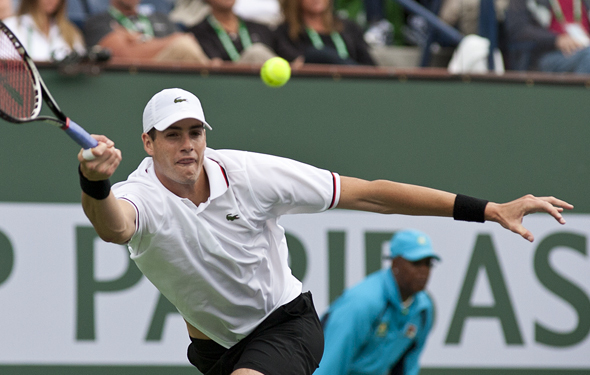 Miami: Can John Isner win once again? Last year, American John Isner won Miami, his first ATP 1000. He was totally thrilled. After that, he was pretty good the rest of the year, but as he said, he was up and down. 7-6(5) 7-6(3). Bautista Agut had upset the No. 1 Novak Djokovic, playing terrific ball, with both his forehand and backhand, but he couldn’t break Isner and John out-hit him. The North Carolina native has been working for many years, trying to improve the return. On some weeks, he has done that, but he may never totally get it. In Miami, he was won four matches, and he has won seven sets 7-6, and only one at 7-5. That means only one break in four matches. He has to place the ball hard and deep over the rest of the tournament. It will get harder every day towards the end. What a win by Australian Ash Barty, who will finally move into the top 10 next week. She just knocked off Petra Kvitova in three sets. She has been changing her thoughts about where she was, and what she should do. Her variety is fascinating. On Wednesday, she will play Anett Kontaveit, another grinder. But Bartry is very strong, at singles and doubles. Over the past year, she grew up emotionally. Late on Thursday, Simona Halep will face against Karolina Pliskova. Over the past four years, they have had some fascinating matches, but the Romanian has beaten her seven times, and the Czech has beaten her just three times. Halep is faster, steadier and quicker. Pliskova hits the balls harder, but she can get frustrated. While she will hit a ton of aces, the Romanian can get them back, fairly deep, and then she can wear down Pliskova mentally. You never know about Pliskova when she walks on the court. When she is happy and totally focused, she can play for hours. If she can be patient, and wait for the opportunity, then she can strike, and come into the net. Halep wants to yank her around, side to side, until the tall Pliskova gets upset or she gets tired. Then, Simona will trip her up. It might be a toss-up, but Halep is favored until Pliskova triumphs again. By the way, if Halep wins, she will become No. 1 again. She has already won a Grand Slam, at 2017 Roland Garros, as well as taking a number of huge events. If she win Miami, some people will think that she is the best player hands down. But Halep is not, only if she continues to be the highest level for the rest of the year.